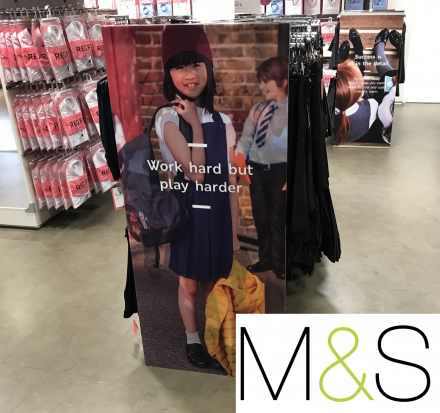 In order to help promote their Back to School range Marks & Spencer commisioned Hive to produce some large in-store displays. The clean transition between the images help attract attention and highlight the campaign message. There were 2 different designs showing the boys and girls cloting and shoe ranges. Hive worked closely with the M&S design team to insure teh creative worked well with the technology, the results were extremely powerful.